This site (“the Site”) is offered to you, the customer by Tracertec Limited, Company Registration Number 271793, and proprietor of Mullion Cove Hotel and Thurlestone Hotel registered Head Office: Thurlestone Estates, Thurlestone, and South Devon TQ7 3NN. Tracertec Limited and Mullion Cove Hotel offers all of the general information on the Site for purposes of guidance only. Please note that the published information may change at any time and all content and services on this Site are provided on an ‘as is’ and ‘as available’ basis. All products and services featured on the Site are subject to availability. Availability at the offer prices is limited and Tracertec Limited and Mullion Cove Hotel reserves the right to extend, reduce or withdraw the offers at any time without notice. Tracertec Limited and Mullion Cove Hotel does not guarantee that information on the Site (including without limitation prices, descriptions or dates) is free from errors or omissions but we will use all reasonable endeavours to correct any errors or omissions as soon as practicable once they have been brought to our attention. Tracertec Limited and Mullion Cove Hotel may change any aspect of the Site or its content, including the availability of any suppliers, features, information, database or content. Tracertec Limited and Mullion Cove Hotel will not be liable for any damages arising out of any failure to complete any transaction, or any use or delay or inability to use the Site, its content or any link to another website arising in contract, tort (including negligence) or otherwise except in the case of death or personal injury caused by Tracertec Limited’s negligence. Where Tracertec Limited is liable for direct loss this will be limited to a maximum of the total price of the products or services in respect of which a claim is made (save for where the liability is for death or personal injury in respect of which there is no limit). Tracertec Limited and Mullion Cove Hotel shall not be liable for any failure in the course of this Agreement if the same shall arise out of a force majeure event. This shall include without limitation denial of service or similar attacks, failure of infrastructure, government intervention, wars, civil commotion, hijacking, fire, flood, accident, storm, strikes, lockouts, terrorist attacks, or industrial action affecting Tracertec Limited, Mullion Cove Hotel or its suppliers. Tracertec Limited reserves the right to change or update these terms and conditions from time to time without prior notice. The current version of the Terms and Conditions will be displayed within the Site from the date on which any changes come into effect. Any use of the Site by you following any changes to the Terms and Conditions shall constitute your acceptance of such changes. 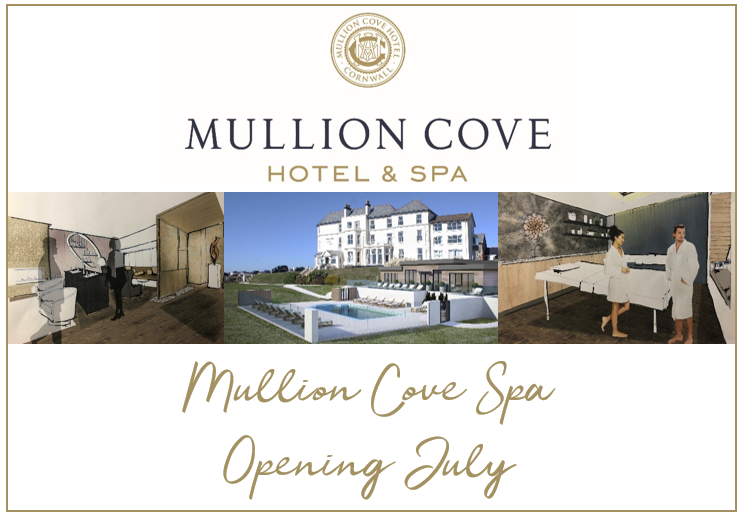 If you make a booking on this site, please note that you are subject to Mullion Cove Hotel’s Booking Conditions as clearly displayed on the Tariff and Reservation pages. This Web site may contain hyperlinks to Web sites operated by parties other than Tracertec Limited and Mullion Cove Hotel. Such hyperlinks are provided for your reference only. Thurlestone Estates does not control such Web sites and is not responsible for their contents. Tracertec Limited and Mullion Cove Hotel’s inclusion of hyperlinks to such Web sites does not imply any endorsement of the material on such Web sites or any association with their operators. We may provide you with information by [post, telephone or e-mail] about other products and services which may be of interest to you, in accordance with the consent we obtain from you at the time the data is collected. If at any time you wish to change this consent, and then please contact us. Tracertec Limited and Mullion Cove Hotel are committed to protecting your privacy. We use the information we collect about you to provide services you request, to communicate with you and to personalise our information to you. We do not sell trade or rent your personal information to others. Every time you receive an online communication from us you will always have the option to decline and opt out from receiving further marketing information relating to Mullion Cove Hotel or Thurlestone Hotel.